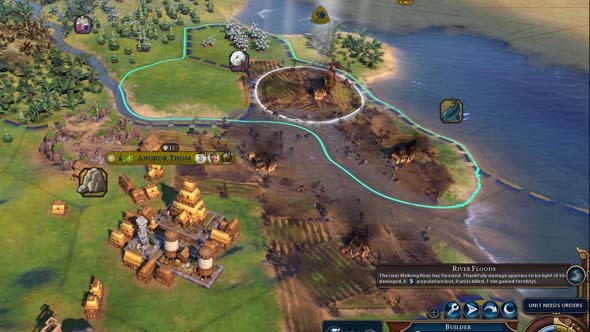 Civilization VI's second expansion, Gathering Storm recently released and has added a handful of new civilizations and leaders. 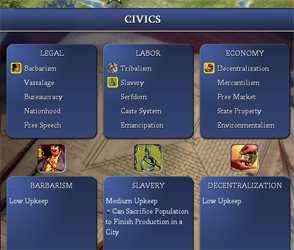 I am hoping to write a strategy for each of them, but I want to start with the civilizations and leaders who are completely new to the franchise. 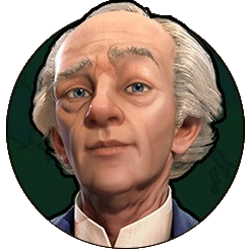 One of these new civs represents a sort-of "farewell" present to the founder and former lead-host of the PolyCast podcast, Dan Q, who stepped down from the podcast at the end of 2018 in order to spend more time with his new family. 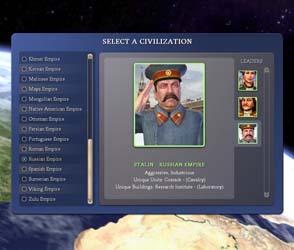 However, he'll still be playing Civ, and for the first time in the franchise's history, Dan gets to play as his home and native land of Canada. It's too bad he's not on PolyCast anymore to tell us about how great Wilfrid Laurier of Canada is, eh? On a more serious note: thank you, Dan for over a decade of faithful service and dedication to the Civilization community. And on a more personal note, thank you for inviting me to join the regular panel on PolyCast. You gave me a voice within this community that I did not think I would ever be able to reach. We'll miss you, Dan, and we hope to talk to you again as a guest host many times in the future. Best wishes to you and your new wife in your new life together. May your lives together be forever in a Golden Age! This guide is dedicated to you, Dan. 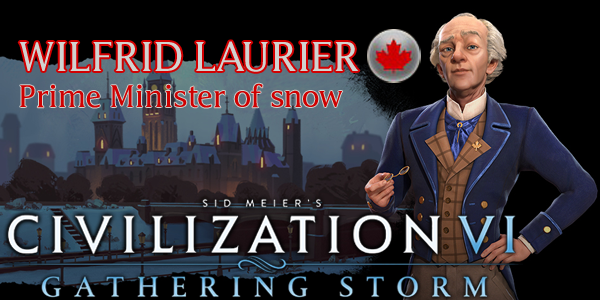 Now let's talk about Canada in Civilization VI! The first European colony in North America is widely accepted to be a Norse encampment in Newfoundland, which was abandoned within a few years of settlement. It wasn't until the 16th century that large-scale colonization began -- mostly by French and British colonists. In 1763, France ceded most of its North American colonies to the British following years of on-again-off-again warfare. The Confederation of Canada was formed over a hundred years later, but remained loyal to the British crown until the Canada Act of 1982. Despite being a formally independent nation, Canada still maintains the British monarch (currently Queen Elizabeth II) as its official head of state. Because many of the founding cities were French colonies, Canada is an officially bilingual country, with both English and French being its official languages, and it is now one of the most multi-cultural nations in the world due to frequent large-scale immigration from other parts of the world. Canadian interactions with indigenous peoples were generally less violent than with neighboring United States' interactions with natives. However, the expansion of Canadian territory still required the forced relocation or assimilation of somewhere between 200,000 and 2 million indigenous peoples, including the Inuit, Métis, the Cree, and several dozen other tribes. Canada's first French-speaking prime minister was Sir Henri Charles Wilfrid Laurier. Laurier was part of Canada's Liberal party, advocating for decentralized federalism and staunchly defending individual personal liberty. Despite wishing for Canada to remain an autonomous nation loyal to the British Empire, he would go on to oppose British conscription of Canadian citizens in World War I, which would become a polarizing issue in the early 20th century. He gained a reputation as a bright and cheerful leader who always followed the "sunny ways", and has become one of the most beloved prime minsters in Canadian history. Canda is a prime contender for a turtle strategy, as it cannot surprise declare on other civs, or be surprise declared on. 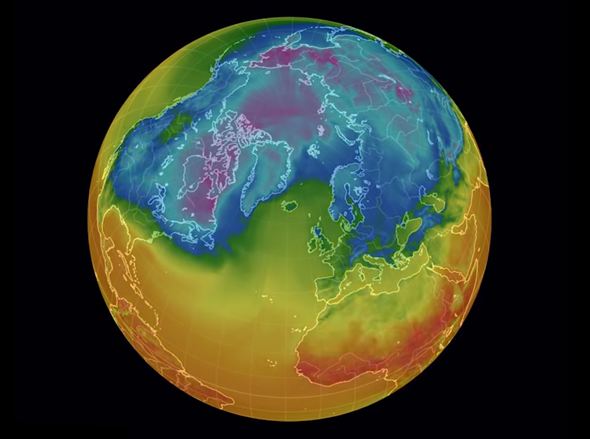 They also specialize in settling in otherwise-inhospitable tundra. 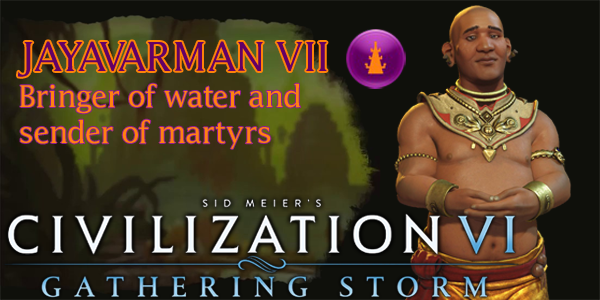 This past weekend, I put up my review of Gathering Storm, the new expansion for Civilization VI. The overall summary is that I felt very "meh" about the game's headline features, but was actually impressed by how the smaller, more subtle changes really improve the underlying game. That review focused on a lot of the high-level concepts of the game, and was already starting to get rather long (my readers all know how verbose I can be). I decided to cut a lot of my smaller criticisms of individual mechanics or functionality out of that review, and save them for their own separate post. So now that you all know how I feel about the expansion overall, here's some of my smaller nags and nitpicks (and suggestions for resolving them) that I hope can be resolved by some post-release patches. No wishful-thinking in the queue? Ugh, now there's even more U.I. issues! 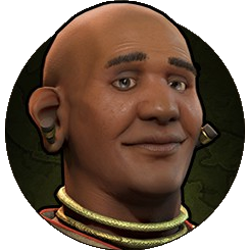 Joint wars should still count as "Surprise Wars"
Civilization VI's new expansion "Gathering Storm" has been out for a week now, and I've been trying to play it as much as I can. There's a lot of new features, and several genuine attempts to change how the game is played -- with varying degrees of success. I wanted to take some time to share some of my initial experiences with the game, in the form of some tips that I have for playing with the new features and rule changes. Disclaimer: I'm writing this less than a week after the expansion came out. I've only had a chance to play a few games, and I'm not totally well-versed or experienced with the new mechanics and rules. I may get some things wrong. If so, feel free to let me know in the comments!